I agree most smart home gadgets are usually useless as you are better off without a smart freeze or a projector TV converting your wall into a TV. Let’s talk about some gadgets that can be really very beneficial. They will let you live more comfortably and increase your productivity as you have to do the minimum manual labor. While they are mostly for simplifying for daily tasks, a few of them can make better use of your resources and time and thus, can bring a change in your way of living altogether. Controlling of temperature in a room is one of the most important smart living technologies you can opt for. With the help of Wi-Fi activated thermostat, you may set up satellites in different rooms and adjust the temperature settings according to your requirements with your smartphones. Therefore, you can also change room temperatures even when you are not in there. We have Ecobee at home, I can’t be happier with another of my investment. 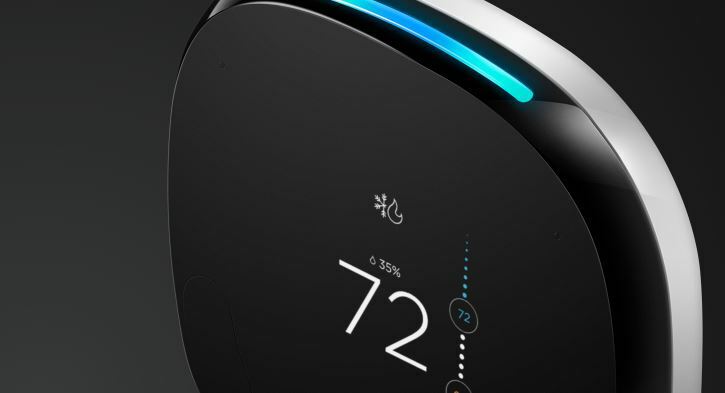 Ecobee brought peace of mind and round the clock ability to maintain temperature level to use the least electricity every month. Sometimes it becomes necessary to install security cameras outside or in certain parts of your house. You may use The Nest Cam or other devices which can detect activities and send you phone alerts with photographs. If your machine has an inbuilt speaker then that will be even better. You can listen or speak through that. You can use coffeemakers that can be Wi-Fi enabled. It often becomes tiresome to get up in the morning and make your own coffee. But if you use a Wi-Fi enabled coffeemaker, you may just schedule your coffee brewing time every morning through your smartphone app. It is not only more convenient but also timesaving. It often seems unhygienic that you have to touch your garbage bin to open its lid, whether by hand or foot. On the other hand, you can’t just leave the lid open or flies and insects will multiply in it. To solve this problem, you may use motion sensory garbage bins whose lid can be opened and closed by waving of your hands or feet. They can sense your movements and promote a more hygienic environment in your homes. You may also opt for a robot vacuum cleaner for cleaning and moping of your house. Gone are the days of trying to take out time from your busy schedule for “cleaning days”. Even if you hire domestic help, there are other inconveniences like timings and finding proper replacements on time in case they fall ill or wish to terminate the job. Robot vacuum cleaners are a one-time investment after which you don’t have to worry anymore. These robot vacuum cleaners come with performance trackers so they don’t clean the same spot twice. This enables better performance and also saves a lot of time and energy. After the work is done, they will return back to their charging base. You may adopt these smart living technologies for your homes to attain a smarter living standard. But first check out the reviews of each product, warranty periods, and services that you can avail of before making any purchase. I love my robotic vacuum! I have puppy who sheds like crazy and I used to have professional cleaners come every few months to handle the build up in my carpets. Now my vacuum is constantly cleaning up after my pup immediately. It’s a life saver and my house is so much cleaner!